One of the easiest ways for stations to expand their programming to please their audience is with Christmas music. Tis almost the season, listeners will be looking for their favorite versions of White Christmas and Jingle Bell Rock before you know it. AccuHolidays, the holiday music version of AccuRadio, offers an incredibly deep assortment of channels – Old Fashioned, Classical, Rudolph Radio, Jazz and Reggae channels, they even have a channel that only plays the songs Blue Christmas and White Christmas (in every rendition available). Now AccuRadio has launched Chicago’s Christmas Channel, available on the Chicago Radio Online website. Chicago is the homebase of AccuRadio, Chicago Radio Online is an online station similar to AccuRadio in technical features, but local to Chicago in its programming. The station features many well known Chicago personalities and is programmed by veteran radio air-personality and programmer Tommy Edwards. There are several easy ways that stations can stream a holiday side channel. Slipstream Radio and Custom Channels are two companies in the business of building and managing a holiday channel that stations can add to their online programming options. Adam Carolla is rapidly becoming the forefather of podcasting. His show was named the Best Audio Podcast of 2009 by iTunes and saw some 50 million downloads in just over a year. According to Arbitron/Edison’s Infinite Dial Study, 32 million Americans or 12% of the 12+ population have listened to a podcast in the past month, and while that number is up only slightly from the year before, industry folks like Wizzard are seeing steady growth and growing interest from advertisers. Big personalities definitely help. 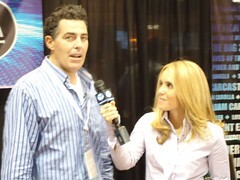 Especially when they’re as appealing as Carolla is in this interview with WebProNews. He jokes about how he got into podcasting (His great great grandfather was a podcaster). He says he’s flattered to be a pioneer, but wonders how you can revolutionize something that’s been around for 11 minutes? Carolla is charming and accessible and happy to be the poster child for the podcasting industry. I suspect he’ll be streaming programming on demand soon as well. Spotify, the hugely popular European on-demand streaming service that has yet to launch in the US has Sean Parker as a new investor. The notorious founder of Napster (the illegal one). Parker – the guy brought to life on the big screen by Justin Timberlake in the movie The Social Network – is out to finish what he started with Napster, and ‘fix what he broke’. Until I heard this I was actually betting on Spotify. But Sean Parker is probably the single worst thing that ever happened to digital music. I think they have misjudged the US market. They’re in negotiations with the record labels, and have had to push back their US launch several times because they can’t get a deal, and now they’re letting Parker talk for them? If Parker didn’t actually create music piracy, he certainly made it popular and famous. If you want to get a taste of what an appealing spokesperson Sean Parker makes for Spotify, take a look at this video. In it, he discusses the war on piracy as a failure, and explains why Spotify’s on-demand subscription service will succeed. And I ask you, would you buy anything from him? What on earth is Spotify thinking? Podcast network Wizzard Media reports that 3rd quarter was a record breaking one for them, with 445 million podcasts downloaded in the 3 months. Wizzard provides hosting, ad serving tools, measurement and monetization services to more than15,000 podcast shows. Most of that is episodic programming, so the actual number of available podcast shows for download is well over a million. The record breaking traffic came in the summer months, when listening generally slows. “We attribute this surge to the continued success of Apple’s products, the expansion of Wizzard’s App product and the growth of the audience that has access to podcasts via iTunes.” said Chris Spencer, Wizzard Media CEO. In fact, 65% of the podcasts they host are downloaded via iTunes, while other Zune and Blackberry are the other major vehicles. In addition, Wizzard offers an embeddable player that makes it easy for listeners to download podcasts directly. They’re in the business of helping people make a business out of podcasting – Wizzard sells podcast hosting and ad serving solutions to content providers and also offers them revenue sharing opportunities. So what are people listening to? Top podcasts on the network include Adam Carolla, English as a Second Language Podcast, Learn French, Smodcast, Joe Rogan, Mark Maron and Grammergirl. Education, music and comedy genres dominate the top 20. Top shows are seeing millions of downloads a month. Ad sales are mostly based on cpms and range, according to Rob Walch, VP Podcaster Relations from $2 for remnant to $45-$50 for certain programs (Wow!) Their advertiser list includes Ford, Coca-cola, Amazon owned Audible, Subway, Netflix, JC Penney and others. Wizzard uses Nielsen Net Ratings for 3rd party verification of ad impressions, an important piece for agency sales. Podcasting is growing at Wizzard Media – they’ve watched downloaded podcasts move from 1.1 billion in 08 to 1.4 billion in 09 to 1.8 billion (approx) this year. What’s not to like about that? Strata, a provider of software solutions for media buyers and sellers, has released results from a 3rd quarter agency survey that provides insight into media spends by agencies. Digital dollars are increasing, but TV and cable continue to see the largest dollars spent. More than 80% of the agencies said they are spending more on digital than ever before. Of the digital dollars being spent, most of it is in display and search, with location based ads turning out to be not-so-important to buyers. In terms of how the agencies are placing those digital dollars, lots of it is going into ad networks, but buyers are also turning to their traditional media contacts to place digital dollars – such as on TV, Radio or Print websites. It would appear from that info that those TV and Radio salespeople have been able to leverage their agency relationships to sell their digital assets alongside their traditional units. NPR, long known as a news organization, has lately been producing some outstanding digital music offerings. The latest one is their 24/7 All Songs Considered Stream. Launched to celebrate the tenth anniversary of the All Songs Considered radio show. The stream offers every song they have played on the show and more. It’s not an interactive stream, the channel simply plays the entire list of stuff aired on the show. Which makes it very simple to produce. The site shows a list of recently played songs and artists, and when I checked it out included such diverse offerings as Stephen Stills, Death Cab for Cutie, Mogwai, Beck, Andrew Bird, Buena Vista Social Club, and lots of others. You can also click to download songs from iTunes or Amazon, and connect to NPR Music pages with more info on the artists. I love the simplicity of this channel – just a steady stream of songs that NPR guys Bob Boilen and Robin Hilton once chose to highlight on the show, all mixed up. The listening is diverse and includes live concerts, bootlegs, and shows put together around distinct themes like odd musical pairings (like the David Bowie/Bing Crosby duet) and a Led Zeppelin tribute show. I read two “lessons learned” articles last week about founders of Internet radio platforms. One was a story of success, with tips on starting a digital business from Tim Westergren, the founder of Pandora. 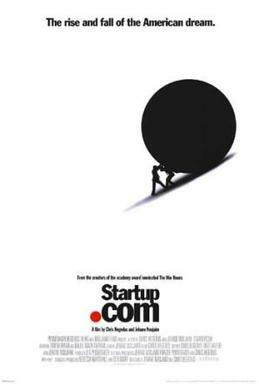 The other is the perspective of failed streaming audio startup Imeem‘s founder Dalton Caldwell. Westergren’s advice struck me as much like the man – he recommends inspiring co-workers, believing in your ideas, seizing the moment by being flexible enough to adapt to big new trends (as Pandora did with smartphones, apps and mobile), but wise enough to manage innovative new ideas so that the pace is reasonable. In terms of investment, raise funds early and often – well before you think you should, he recommends. Caldwell’s tone is noticeably more negative – not surprising given the end of his startup story with Imeem. Imeem was sold to MySpace last year for what was rumored to be a very small amount of money, and then shut down. Music licensing is the big problem – “he said record industry executives aren’t trying to be jerks. Instead, they’re in a tough situation because their revenue is shrinking rapidly”. Caldwell actually thinks the Pandora model stands the best chance for success against the high royalty rates, but only for a large player – he’s not sure there’s a place for a small startup anymore. Mobile music service Thumbplay has signed up over half a million trial accounts since it launched in March. Thumbplay offers unlimited music streaming for a monthly subscription fee of $9.99. The downloads are for an initial free trial period, and although Thumbplay won’t say what their conversion is, Techcrunch points out that even at just 10% conversion that is $500,000 a month in revenues. That sounds like a business model to me. Some more interesting info on the service. Ninety percent of the use is on smartphones, although Thumbplay does offer a desktop app as well. Most of the subscribers are male, 25-34 years old. 39% of smartphone listening is on iPhone, 36% on Blackberry, and 25% on Android. Thumbplay’s one of the top 100 free apps in the iPhone app store. And their promotional video/take off on an infomercial is amusing too. In an effort to “promote cultural diversity” and combat illegal song downloads, the French government has decided to subsidize legal music downloads for 12-25 year olds. As remarkable as this sounds, it’s true. 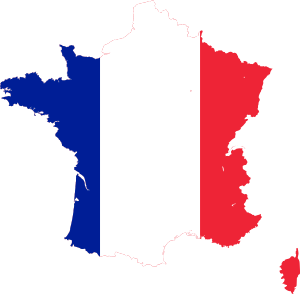 It will cost France approximately $35 million per year (25 million euros) and only French residents are eligible (darn!) French 12-25 year olds can purchase a “Carte Musique” to download music from subscription based download platforms. The card will be worth 50 Euros or approximately $70 worth of downloads, and cost eligible consumers only half that – the government will pay the other half. Cards are limited to one per year and the program will be available, at least initially, for two years. The plan is to get young french folks into the habit of legally downloading music, and the fact that the French government is willing to get involved is pretty amazing. Websites are also required to eat some of the costs by lowering their download prices, extending subscription lengths or contributing to the costs of the cards. Reportedly, some of the larger sites such as ITunes and Amazon may not play due to the cost. NOTE: I made a major error in this analysis, failing to see that the Ando chart represents total listening hours in a week (in millions), not average time spent listening per week. My apologies and thanks to Larry Johnson of Paragon Media Strategies for bringing it to my attention. I then looked around to see if I could provide any data comparing TSL of broadcast to TSL of Internet radio. It turns out that AndoMedia’s monthly rankers provide TSL per session, but not TSL per week, which is what Arbitron makes available in its Radio Today Study. Listeners to broadcast radio spend about 15 hours per week listening, according to Arbitron‘s 2009 Radio Today Study. Most Internet radio stations measured by AndoMedia see listeners average sessions lasting 1-2 hours, although that does not factor in how many sessions they are logging per week and so cannot be compared to the data above. Although it’s remarkably close in time spent listening to both platforms, that listening takes place in very different locations, with most online listening occurring at home and work, and most broadcast listening taking place in the car, followed by home, other, and work.